“The God’s own country.” That’s what Kerala, India is known for. 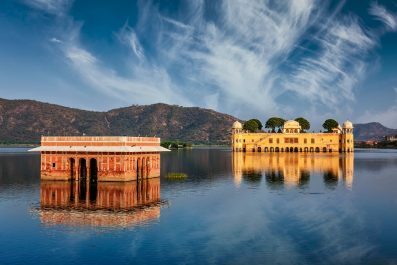 Brackish lagoons and lakes, tea plantations, longest drive-in beach, natural herbs and spices, festivals, friendly people and vibrant history and culture. All of these can be found in Kerala. If you’ve been to India before and would like to explore the country beyond the usual tourist circuit, then a visit to Kerala will be a great addition to your trip. Our 7-day suggested itinerary is designed to give you a holistic and wholesome experience. Depending on your traveling priorities, you can certainly fine tune this itinerary to suit your needs. Welcome to Kerala! Language – India is a vast country which resulted to a number of different languages spoken by its people. However, the official language in India is Hindi. English is taught in schools and is widely used in the country, so do not worry about not knowing local phrases or words. Please note, Kerala has the highest literacy rate in India, so you can absolutely get by. It is, however, recommended to learn some Hindi or dialects specific to that region if you are heading towards rural areas. 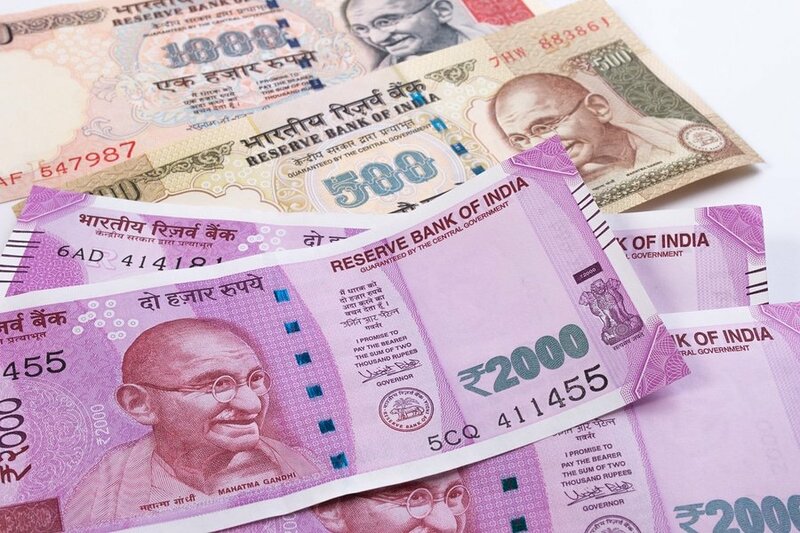 Money and costs – The official currency of India is the rupee (INR). Exchanging money in India is easy and follows the same standard to elsewhere in Asia. Currency can be changed at banks, airports, authorized money changers and some hotels. Credit cards are accepted in major cities and ATMs are widely available. The best way to get local currency is to use the ATM and withdraw in rupees to get the best rate. Safety and security – There is currently no nationwide security advisory in effect for India. Check your country’s travel advisory website to get the most up-to-date information for your personal safety abroad. It is safe to travel in the country. However, it requires special preparations, research and practices, especially for women. India is very traditional and the attitude towards women are not really the best in this side of the planet. 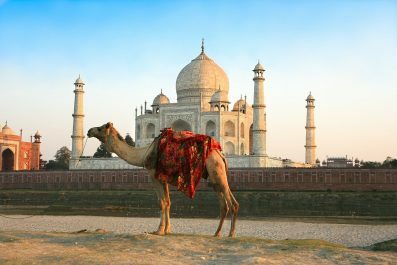 When traveling to India, be cautious, use common sense but do not appear fearful. Indian cuisine and food safety – Indian cuisine is very diverse. However, the staple diet in India consists of rice, atta or whole wheat flour, different pulses such as dals and vegetables. Regarding food safety, it is recommended not to eat salads and cut fresh fruits. Eat only unpeeled fruits. Only eat freshly cooked food from a restaurant with high turnover. Most importantly, do not eat from vendors on the street. Clothing – There’s no need for a foreigner to feel obligated to dress in traditional Indian clothing. Modesty is the key in India. For women, avoid revealing clothes so you won’t get unwanted attention. Jeans and shorts not higher than mid calf, knee-length skirts partnered with T-shirts or blouse are acceptable. For men, loose cotton shirts, T-shirts and pants are okay. Lastly, while visiting places of worship, you should be fully clothed. Don’t forget to remove your footwear before entering a temple and mausoleum . Where to stay – Due to its popularity among visitors worldwide, Kerala has heaps of accommodation to suit every pocket, from budget hostels to luxury hotels. To help you decide on the best place to stay, it is recommended to do a bit of prior research so you won’t land in the wrong part of this country. In Kochi, specifically Fort Kochi, there are plenty of budget friendly beach hotels, guesthouses and home stays. In Munnar, there are plenty of good places to stay to see the surrounding countryside. Some budget home stays like the Royal Mist offer magnificent viewpoints over the surrounding tea plantations. In Alleppey, known as ‘Venice of the East’, there’s an array of lodging and boarding options to choose from. Today starts your adventure to Kerala, India! Schedule a flight that will arrive early in Cochin International Airport (face), located in the city of Kochi. Depending on your time of arrival, you can either take it easy and soak up the atmosphere in Kochi (colonial name Cochin) or take in some attractions. Make sure to drop by the Tourist Information Counter at the arrival hall to get printed maps, bus/train schedules and tour recommendations. Check into your preferred accommodation and grab some breakfast before your self-guided tour. Head to your first destination, which is Sri Chottanikkara Bhagavathy Temple. It is arguably the most famous temple in the state of Kerala and is known as the Temple of Healing. Then, make your way to your next destination, which is the Kerala Kathakali Centre. 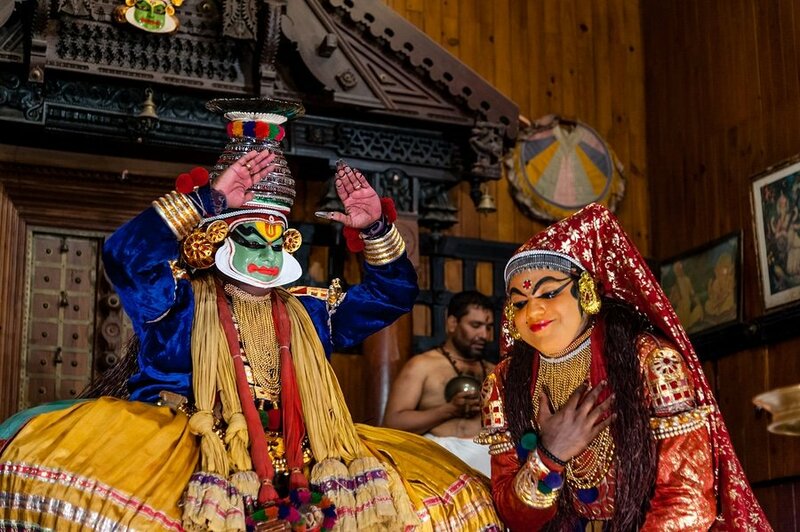 Known as a traditional arts center, the Kerala Kathakali is also where the Kathakali, a classical dance of Kerala, is being performed. You may also witness this traditional performance at the Kerala Folklore Museum, located at the Bypass Road of Ernakulam. 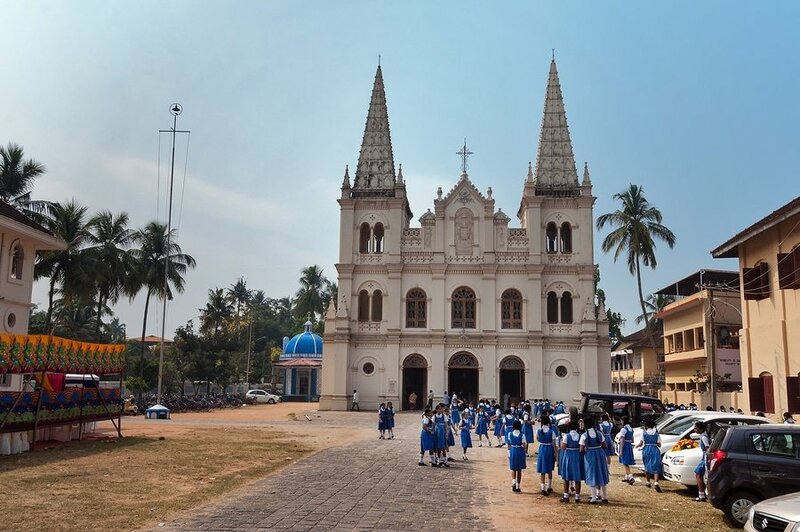 If you still have energy and time, you may visit the Santa Cruz Basilica, one of the eight Basilicas in Kerala. Today you’re up early to prepare for your next destination. Wake up to a delicious breakfast in your private room or grab a bite in one of the restaurants in town. Then, check out from your accommodation in Kochi and prepare for your departure to Munnar. Getting to Munnar from Kochi can be easily done by bus. Travel time is approximately 4 hours. Check in at your chosen accommodation before you go on your tour. 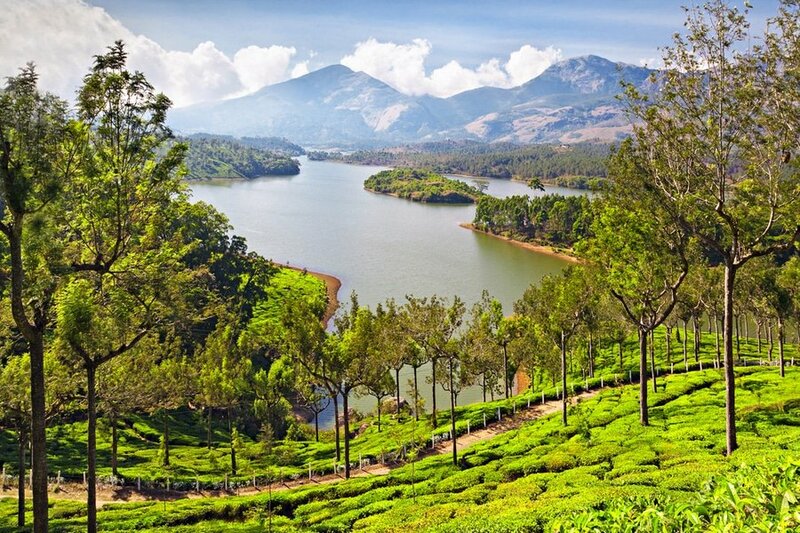 Known for its 19th century tea plantations, Munnar is one of the most famous destinations in Kerala. Due to its perfect location in the Western Ghats mountain range, the area became a summer getaway destination for the British Raj elite in the late 19th century. Do not miss to check out the Top Station Viewpoint located at the highest point on Munnar-Kodaikanal Road. You may also stroll through the rolling hills of Tea Garden. On the morning of Day 3, get set to experience the magnificent Tea Plantations of Munnar. Start by grabbing some breakfast. 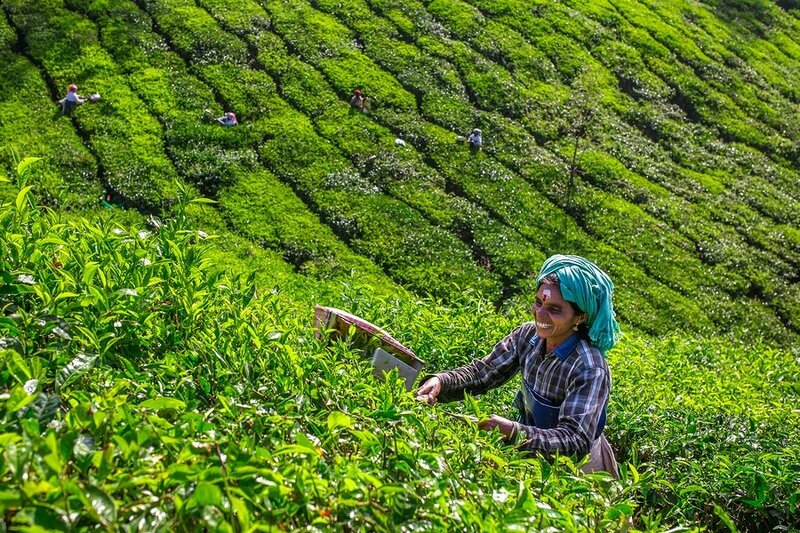 Then, embark on the much-awaited tour of the day by joining a Tea Plantation Tour. This is a great opportunity to enhance your cultural experience in Kerala and to learn about the history of the century-old tea factories and their tea cultivation and processing. And of course, you can’t say you’ve been to Munnar if you don’t experience cups of steaming Indian tea. It’s time for an adventure on day 4! For fun-loving and adventure-seeking travelers, mountain biking, rock climbing, repelling and para-gliding in Munnar promise a one-of-a-kind experience. These exhilarating mountain activities allow you to see the stunning Western Gats and the extensive Tea Plantation. If you want a more extreme adrenaline activity, try ATV at the RockHill Adventure Park. It is a heart pumping 1.5 kilometer ATV mountain trail challenge through the rough terrains and uphills of Munnar. Don’t worry, though. Expert guides will perform safety protocols and will provide safety reminders. For nature lovers, you’ll be delighted to know that there are plenty of waterfalls, flower gardens and small streams surrounding the beautiful mountains of Western Gats. 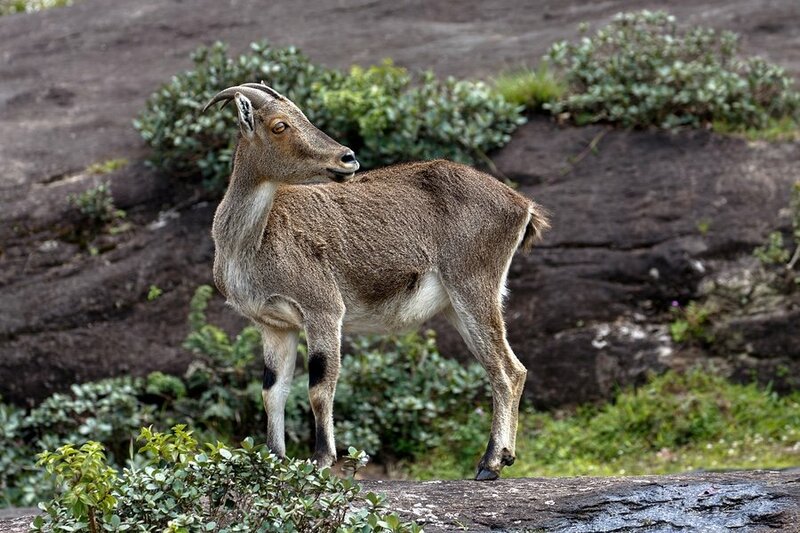 You may also visit the Eravikulam National Park, home of the Nilgiri Tahr, the endangered mountain goat of Southern India. On days 5, check out from your accommodation in Munnar and prepare for your departure to Alleppey (also known as Alappuzha), the Venice of the East. Catch the earliest bus (Kerala State Road Transport Corporation) leaving Munnar to Alleppey at around 6:35 AM. The journey will take around 6 to 7 hours. Since there is no advance booking for this bus, it is recommended to arrive in the station 30 minutes early. Upon arrival, check into your preferred accommodation before you take in some sights. Assuming you arrived in Alleppey at 12:30 PM, you may start your self-guided tour at around 2:00 PM. Make your way to your first destination, which is the Ambalapuzha Sree Krishna Temple. This popular temple built for Lord Krishna is said to have been built between the 15th to 17th AD. Another temple you should not miss is the Mannarasala Sree Nagaraja Temple, a temple dedicated to the serpent gods. End your day with a bang by visiting the scenic seaside while waiting for the sunset. 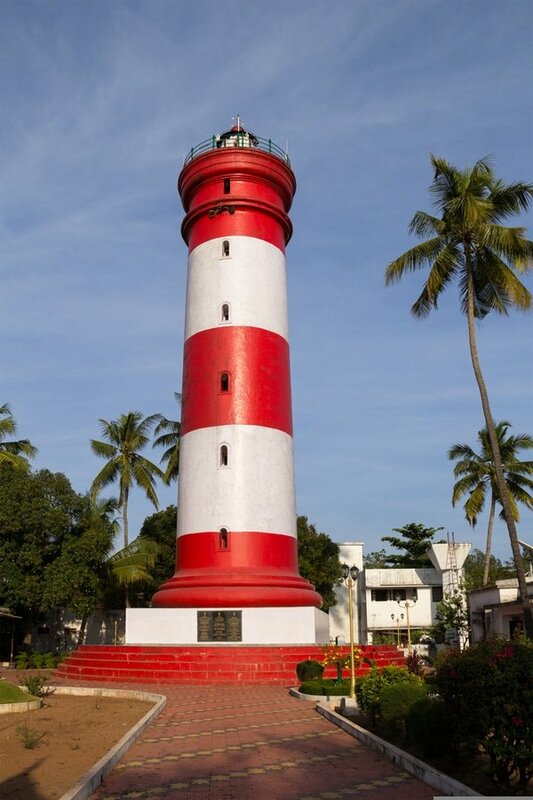 Do not miss to visit the Alappuzha Lighthouse, one of the oldest lighthouses in Kerala. On day 6, embark on one of the most exciting trips in Kerala by joining the Alleppey Backwater tour. 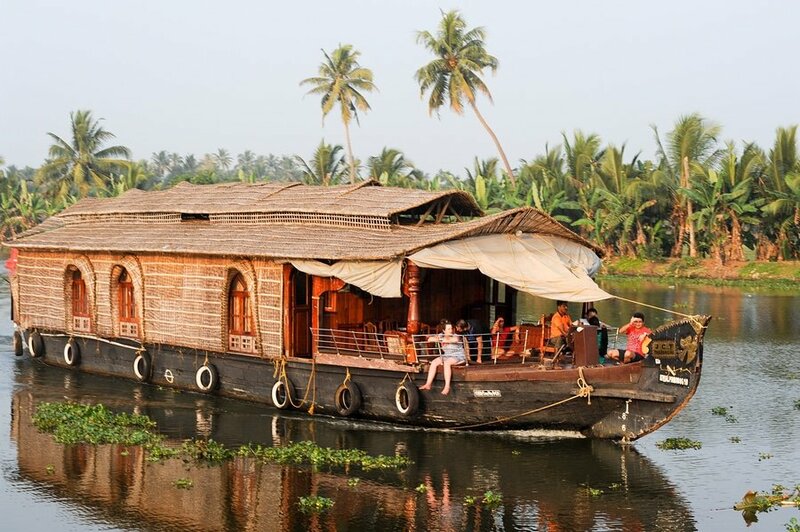 Cruising through Alleppey in a houseboat is probably one of the best things to do in Kerala. It pretty much has everything you would want from a lake – lush greenery, coconut palm-lined coasts, stunning mountain views, canals and waterways. 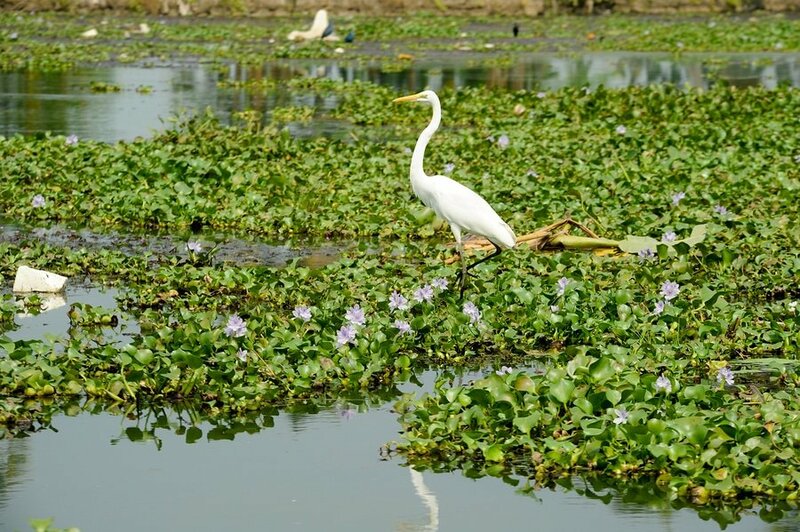 Aside from enjoying one-of-a-kind countryside views, you would also see several spots in this region with migratory birds. Backwater tours in Alleppey offer one-night cruise on Punnamada Lake or two-night cruise on Alumkadavu. Your final day in India can be spent on last-minute shopping and seeing those Alleppey attractions that you haven’t yet had time for. Fit in one last amazing lunch or dinner in the town before you travel back to Kochi or to other destinations in Kerala or other regions of India. This is the end of our 7-day suggested itinerary to Kerala, India. The sequence of the activities and attractions above are just a guide and you can definitely change it to suit your interests. 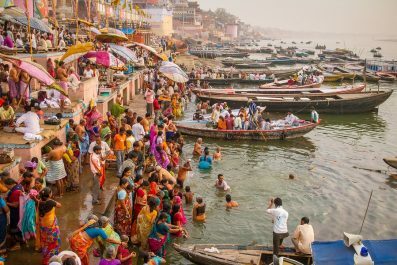 Travel to India when you are ready because it is definitely not for everyone. Go with your eyes open and experience the charm of this land. Namaste! Have you been to Kerala or anywhere else in India? Do you have any tips or suggestions to share? If so, you can leave your comments below. Every time i glance thru passage to india, rajasrhan, goa, kerala n himachal pradesh soothes my mind with wonderful memories. In allepey, back water adventure is truly unique. I ended my 3d2n trip to kerala at fantabulous 5s leela in kovalam. It was a road trip from mumbai passing kartanaka on d way n passing tamil nadu on d way back. My only regret is not stopping by goa, only been there once. Ive also been on a road trip to udaipur from Mumbai n 2 different trips on flight to udaipur n jaipur. My 3 years working in a Malaysian agency certainly brings back memories. Wonder what my travel itineraries be should i been given d opportunity to work in europe. Cest la vie. So, a road trip from Mumbai to Alleppey? How long it took you to get to Alleppey?